The July film night is tonight – Friday 25th July. The film is scheduled to start at 7.30pm, so meet in the foyer of the Ipswich Film Theatre in the Corn Exchange at around 7.10pm. You can book online on the IFT website or buy tickets on the night. See the programme for more details and to contact Angela Bell (the film night organiser). The July social meeting will take place tomorrow – Monday 14th July. It’ll start at 8.00pm in the upstairs lounge of The Thomas Wolsey pub. See the monthly social meeting page for more details and a map. Matthew’s away, so Tamara will be in charge of proceedings this month and she’ll be talking through the programme of future events. There’ll be plenty of time for socialising too. Potential members are very welcome to come along. If you’ve got any questions about the IOG or the activities, it’s a great time to ask them. The new IOG programme for July, August and September has now been published. See the programme page for details. From now until 1st September, the regular easy Monday evening cycle rides will take place on the first and third Monday evenings of each month. These rides are suitable for less experienced cyclists and the pace will be moderate. The distance will be 12 -15 miles in about 90 minutes. There’s an opportunity to socialise after the event. See the programme for dates, more details and to contact Robin Richardson (the organiser). The June film night will be this Friday – 27th June. The film this month will be the period drama ‘Belle’, the story of Dido, the mixed-race daughter of an 18th century naval officer, who was raised in England by her aristocratic great uncle. A rich and complex tale that explores the plight of an illegitimate young black woman, whose entire existence is a contradiction in terms. The film stars Gugu Mbatha-Raw, Tom Wilkinson and Emily Watson. The film is scheduled to start at 6pm, so meet in the foyer of the Ipswich Film Theatre in the Corn Exchange at around 5.40pm. You can book online on the IFT website or buy tickets on the night. Thank you to everyone who came to the new members event last night and made it such a big success. It was great to meet so many prospective members. The (rather too warm) upstairs lounge of the Thomas Wolsey pub was packed with 23 new people and some current members, both relatively recent and old hands. 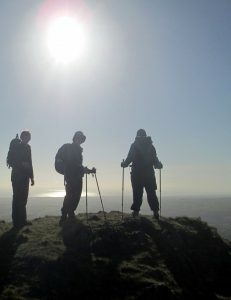 There was a slideshow of some of our previous adventures and the forthcoming IOG events were discussed enthusiastically. There was plenty of time to ask questions and for friendly chat. People were welcome to join the group on the night if they chose to and many did. Thanks to everyone involved in the event preparations and those who gave talks about our past and future events. We look forward to welcoming some of the new people on IOG events in the near future. 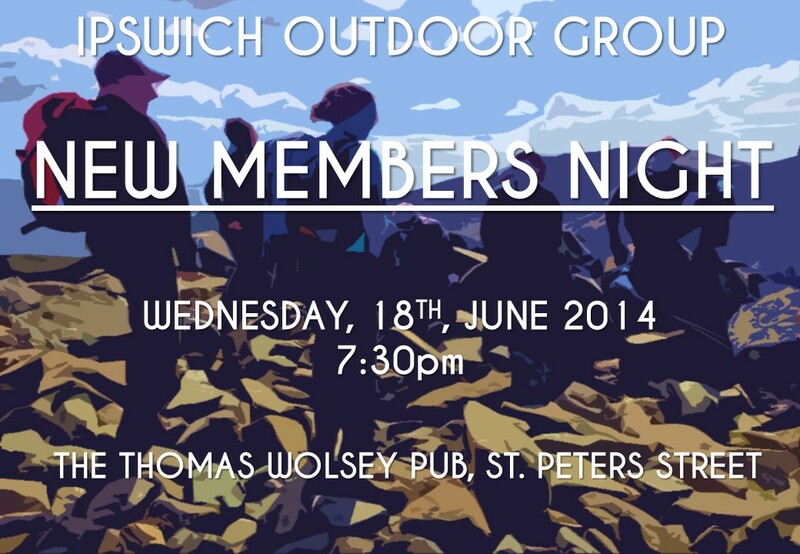 There will be a special IOG event for prospective new members on Wednesday 18th June. It’ll start at 7.30pm in the upstairs lounge of The Thomas Wolsey pub (see the Monthly Social Meetings page for the address and a map). There’ll be some short talks about who we are and about the exciting events we get up to. There’ll also be some current members there so you’ll be able to ask any questions that you may have about the IOG. 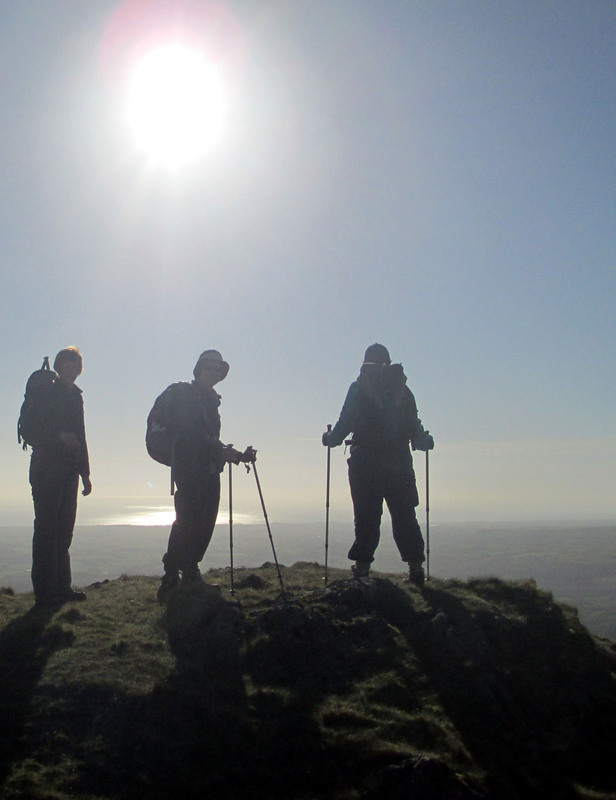 If you like outdoor activities, then come along to find out more and have a chat. You’ll be very welcome! Please note: The June social meeting will take place next week on Monday 16th June, rather than tonight. For one month only, it’s the third Monday of the month, rather than than the second. We’ll be taking a look at the programme for the month ahead, so it’s a good time to ask any questions about future events or the IOG in general. Of course, there’ll be time for socialising too! It’ll start at 8.00pm next Monday in the upstairs lounge of The Thomas Wolsey pub. See the monthly social meeting page for more details and a map. Don’t forget – Monday 16th June! The May social meeting will take place this evening – Monday 12th May. It’ll start at 8.00pm in the upstairs lounge of The Thomas Wolsey pub. See the monthly social meeting page for more details and a map. 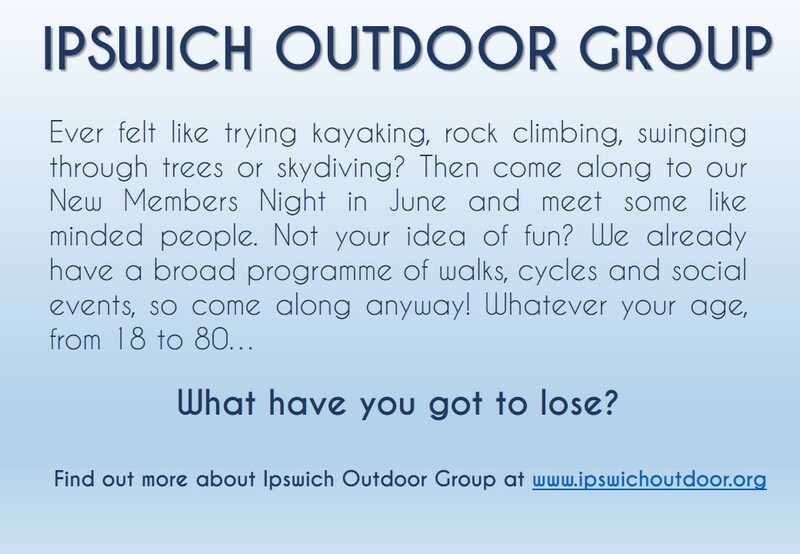 Potential members are very welcome to come along. We’ll be looking at the programme for the month ahead, as well as socialising. If you’ve got any questions about the IOG or future events, it’s a great time to ask them. The regular easy Monday evening cycle rides restart on Monday 28th April for the spring/summer and will take place every Monday evening, except Bank Holidays and monthly social meeting nights. These rides are suitable for less experienced cyclists and the pace will be moderate. The distance will be 12-15 miles in about 90 minutes. There’s an opportunity to socialise after the event. The irregular fast-paced Out-of-Order Monday evening cycle rides will also restart on Monday 28th April. Albert Rafel (the organiser) will circulate details for these through the group email list before each ride. These rides are for more experienced cyclists.